An adventure in Colombia's Amazon basin will introduce you to unique wildlife, indigenous cultures, and some of the continent’s most pristine jungles. Our insider Chris shares his tips on what to explore in one of Colombia’s least traveled regions. The Amazon makes up a third of Colombia, yet it's one the country's least-explored regions. With so much for you to discover, here are four things to help you plan your trip around the Amazon Basin. The capital of Amazonas department is located on the borders of Brazil and Peru. Tour agencies in the city can arrange tours into the jungle, but Leticia is more than just a base. The Etnográfico Amazónico museum is an excellent introduction to Amazonian indigenous cultures, and Mundo Amazónico reserve is a beautiful botanical garden containing many native species of flora. For nature-lovers, Tanimboca Natural Reserve offers lodging in tree houses just 11km (6.8 miles) from town. Visit Santander Park at dusk, when thousands of parakeets arrive to roost. Be sure to bring a hat with you, though – it gets messy! It's also a unique experience to have breakfast in Colombia, lunch in Peru and dinner in Brazil. 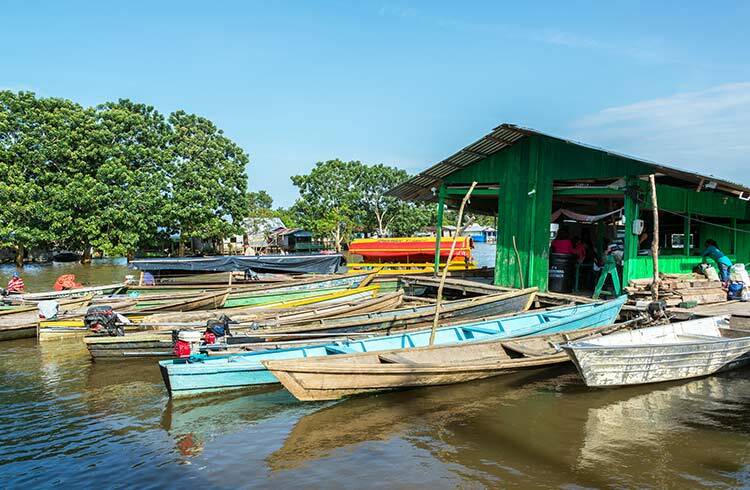 Two hours upriver from Leticia, Puerto Nariño is an eco-friendly village, home to members of local indigenous groups. Calm and peaceful, it's the perfect base to experience the natural wonders of the Amazon. Nearby Tarapoto Lake is excellent for swimming with pink dolphins, and a great place for piranha fishing. Alto del Águila hostel is a great place to stay: from here, you can organize hiking, fishing, and camping trips in the jungle. It’s also home to a friendly group of squirrel monkeys: be warned, you will become their climbing frame! Close to Puerto Nariño is one of Colombia's largest National Parks, Amacayacu. Home to hundreds of Amazon species, it's an ideal place to observe a variety of wildlife in its natural habitat. The majority of Amazon basin tourism is focused around Leticia, due to its relative security. However, there are a number of emerging Amazon destinations in other parts of Colombia. San José del Guaviare is known colloquially as the ‘Gateway to the Amazon’, due to its location at the frontier of Colombia’s plains and jungle regions. It’s also easy to access from Bogotá, located 7 hours by bus from the capital. The main attractions are the ancient indigenous rock paintings of Cerro Azul and Nuevo Tolima, as well as the jungle kayak tours around Laguna Negra. Putumayo department is easily accessible by bus from San Agustín or Pasto. Most travellers visit Mocoa, the department’s capital, for stunning jungle hikes to waterfalls. The most popular is the Fin del Mundo hike, which winds through the jungle past a series of waterfalls and culminates in a spectacular 80m cascade. Isolated Guainía department, in the eastern Amazon, is home to one of Colombia’s most remarkable off-the-beaten-path destinations: the Mavecure Hills. These giant granite monoliths loom imposingly over the surrounding jungles and offer breathtaking panoramic views. Only accessible by plane, Guainía’s remoteness makes it worth the expense. The Amazon contains many dangerous species: never venture into the jungle without an experienced guide with you. It's also vital to protect yourself against diseases: make sure you have a Yellow Fever vaccination, and bring enough malaria tablets. To avoid being bitten as much, pack long pants and plenty of mosquito repellent. 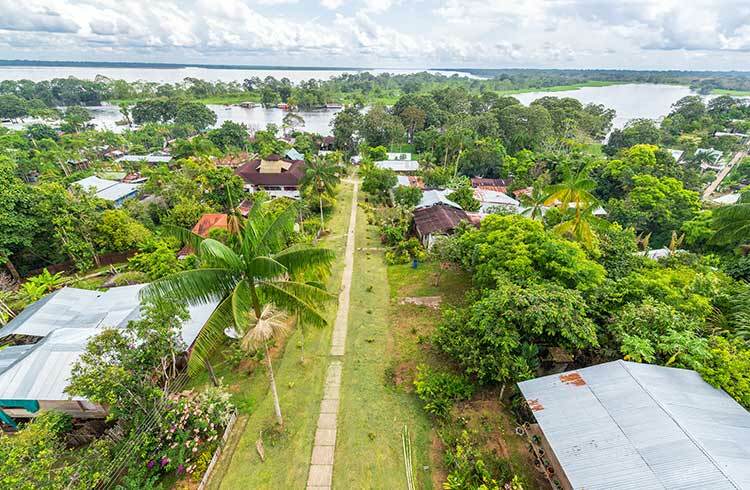 Guainía, Putumayo, and Guaviare can still be unsafe: avoid extremely rural areas outside of the urban centers. Whether you're a learner or a pro, Taganga on Colombia's Caribbean coast is a fantastic spot for scuba diving. Colombia, the South American country with a frightening reputation for warring drug barons and kidnappings, is a hot new destination for travelers. Here's what you need to know.